For my Whimsy card this week, I used a mask to frame off my card front so I could stamp the chevron background. 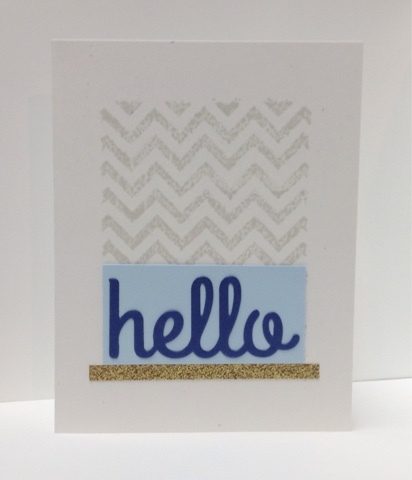 I then added a light blue strip and gold glittery strip, and mounted a dark blue die cut hello. Thanks for stopping by!